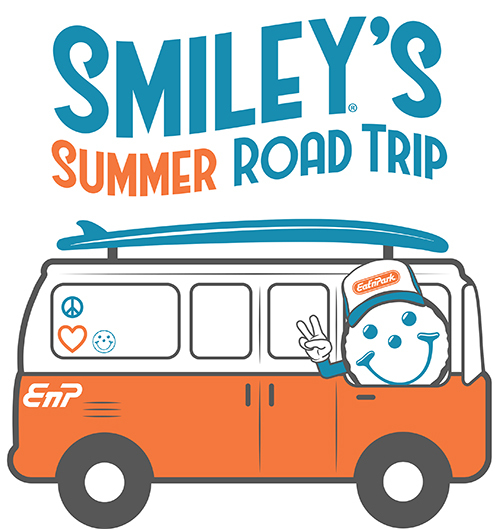 Smiley’s cruising into the summer season with the ultimate road trip to visit all 68 Eat’n Park restaurants! He will be joined by his biggest fans (also known as Team Smiley), and together they will hit the road to create smiles for kids throughout the region. 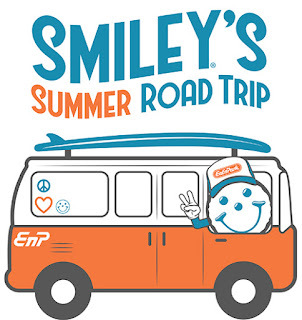 To document the fun, kids will receive a special passport at their first restaurant visit on Smiley’s summer tour. (You can also print a passport ahead of time here!) Each time they visit with Smiley at additional road trip restaurant stops, they’ll receive a stamp on their passport. Once they have collected five stamps, they will receive a dozen free Smiley® Cookies! Now, that’s something to smile about! The Road Trip will visit every Eat’n Park restaurant once this summer. All Smiley appearances during the road trip are from 5:30 p.m. to 7:30 p.m. We hope to see you there!